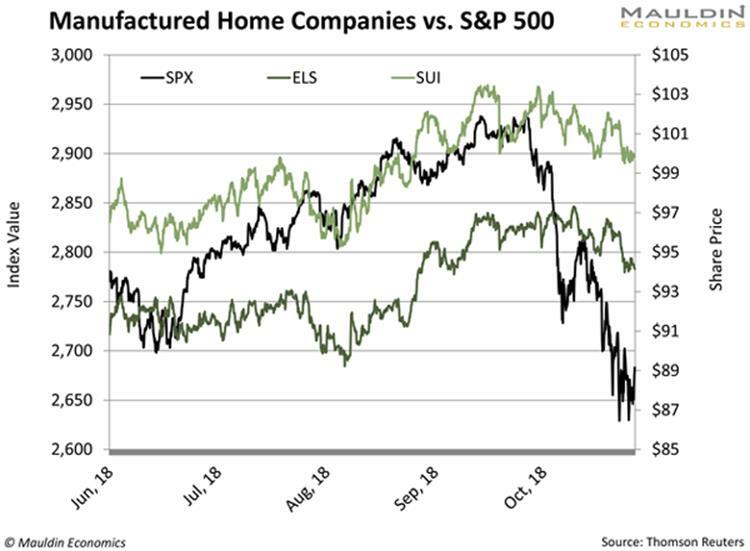 By ROBERT ROSS : Last month was a bloodbath for stocks. The S&P 500 sat on a 9.4% gain for the year on October 1. But I found one group of stocks that bucked the trend. While other stocks fell in tandem, these stocks showed gains. Here’s the best part: They pay healthy, reliable dividends, and have done better than the S&P 500 every year this decade. These stocks are hidden in the real estate sector. They make a certain type of home that is in high demand. From October 1 to October 30, the S&P 500 fell 7.9%. Meanwhile, Sun Communities and Equity LifeStyle Properties, Inc. gained 0.2% each. The gain might be small. But just the fact that these stocks didn’t decline tells us that the industry has staying power. And there are good reasons why it is so. 40% of Baby Boomers will see their living standards drop in retirement, according to The Wall Street Journal. High debt levels are to blame. Boomers are entering retirement with more debt than ever before. The average Boomer has $99,000 in debt. And Duke University economics professor Charles M. Becker thinks many will sell their homes and move into manufactured homes. I parked my car and walked over to the green of a perfectly manicured mini golf course. Behind me, kids splashed around in an Olympic-size swimming pool. About 100 yards away, a community library sat in the shade of giant palm trees. Buying these stocks is a no-brainer. Here’s why. For one, the trend is undeniable. Second, with high volatility in equities, safe and stable stocks is a must in your portfolio. 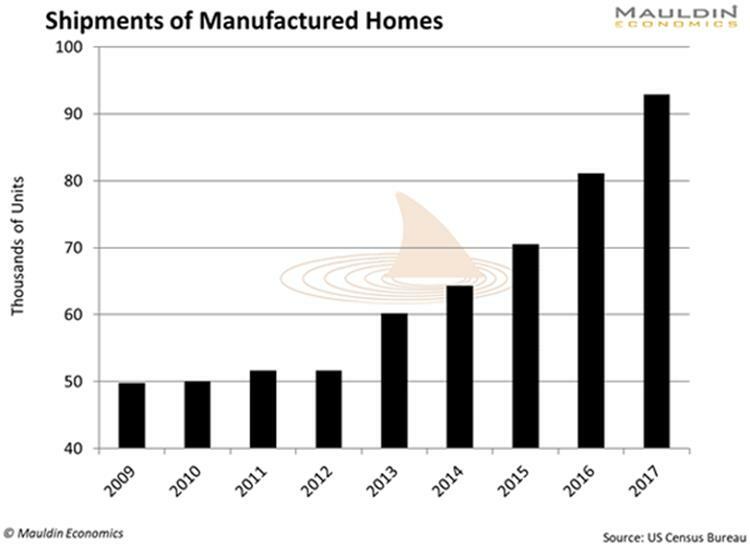 And manufactured home companies have proven that they can weather volatility well. Plus, the US bull market is long in the tooth. So it’s a good time to add one more hedge to your stock portfolio today. © 2018 Copyright ROBERT ROSS - All Rights Reserved Disclaimer: The above is a matter of opinion provided for general information purposes only and is not intended as investment advice. Information and analysis above are derived from sources and utilising methods believed to be reliable, but we cannot accept responsibility for any losses you may incur as a result of this analysis. Individuals should consult with their personal financial advisors.